This doesn’t mean too much to me, because I could eat tacos, nachos, enchiladas, tamales, burritos, etc., on any day of the week. 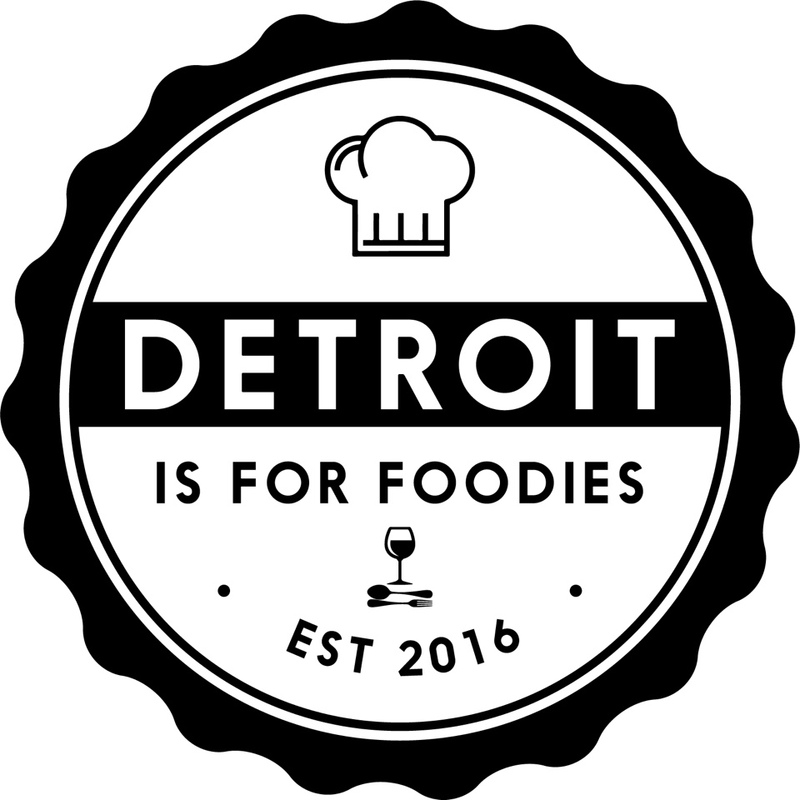 And how lucky am I to live in the Detroit area where Mexican or Latin American inspired cuisine is so delicious and most importantly, it is so authentic.Are you looking for recommendations in Detroit? Message me and i’ll send you a list of places to check out. 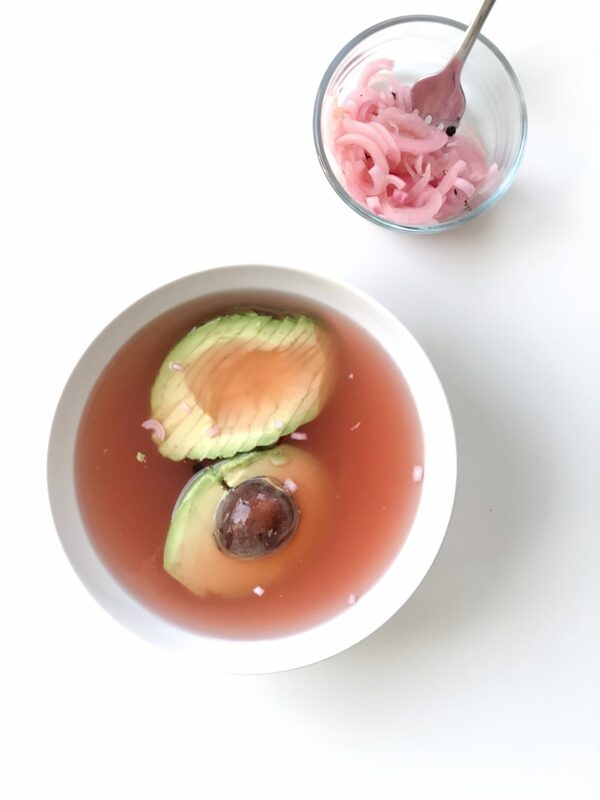 In the meantime, let’s focus on these delicious Pickled Onions and Avocados..
For today, my plan is to make tacos or nachos for dinner; maybe even enchiladas. We shall see what mood I am in later. One thing I do know, is that I will be adding these pickled onions to whatever I make. They add a perfect crunch and the pickled taste is like no other… LOVE! Last time I made a batch of these pickled onions, I added an avocado to the pickling juice after I removed the onions. The avocado is to die for in this form. Please try it for yourself. Soak it in there for about 20 minutes and enjoy! I also ended up leaving some of the avocado in there overnight and the next day it was perfectly delicious with my leftovers. I used Bragg Organic Apple Cider Vinegar for this recipe, as it’s my favorite. Bring the water to a boil and remove from the heat. Add the vinegar, sugar, and salt, then wait a few minutes for the granules to dissolve. Stir the mixture to help it along. In the meantime, slice the red onion and place inside the mason jar or a container of your choice. Add the garlic clove and peppercorns to the jar too. Pour the water, vinegar, salt and pepper mixture over the contents of the jar. Shake well. Refrigerate for thirty minutes to one hour before using. Remove the onions from the pickling juice and add the avocado for 20 minutes or so.